Application for accreditation upgrades and exams has moved from the DSA website (via the 'Accreditation tab") to your individual P5000 login. When you log in to your P5000 account you will notice a new button for Accreditation. This is the new online access point. 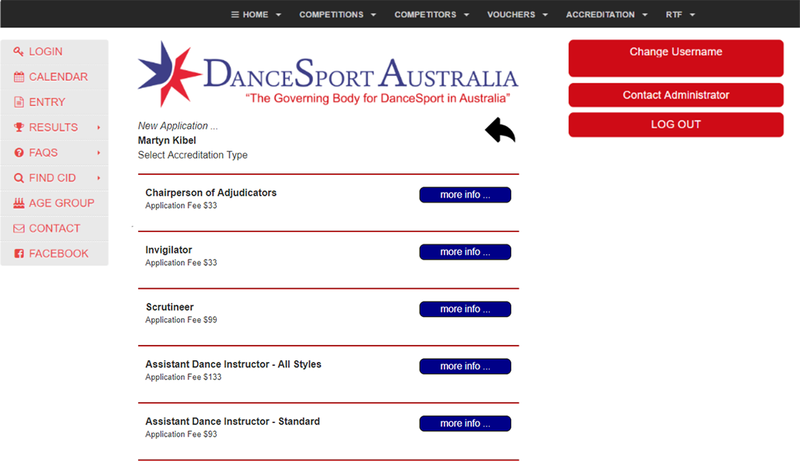 When you click on this button you will be able to see any accreditation applications you have in the system. Note: Recreational members will not be able to see this, as they are not eligible for accreditation. 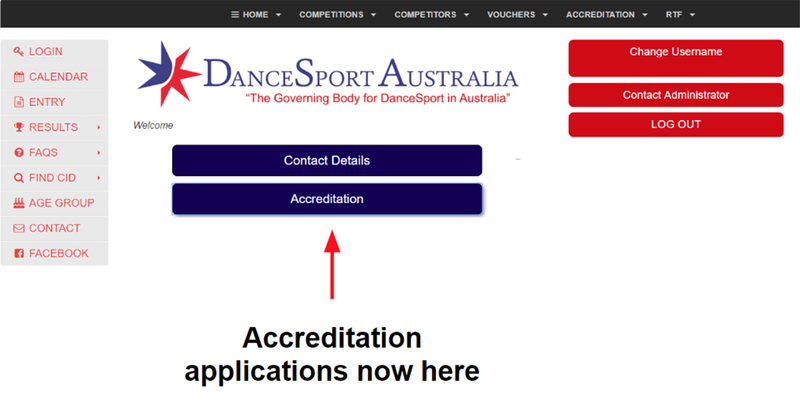 Now you can access information on any accreditation, i.e. cost, description and requirements for each level. 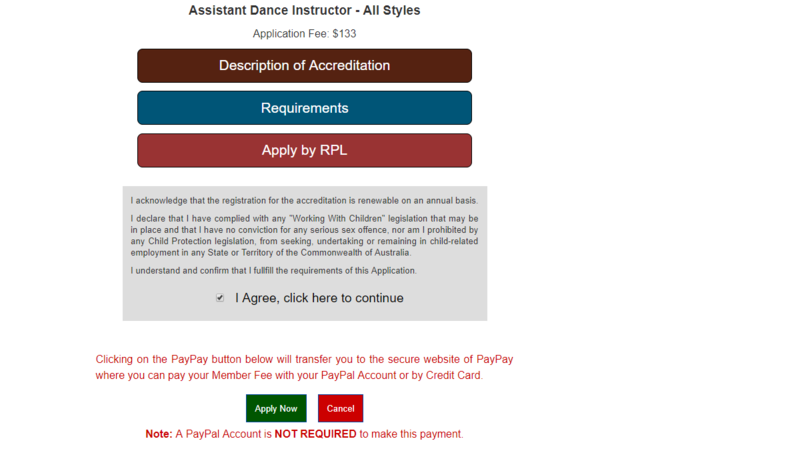 To make an application click on the particular accreditation option for which you wish to apply. 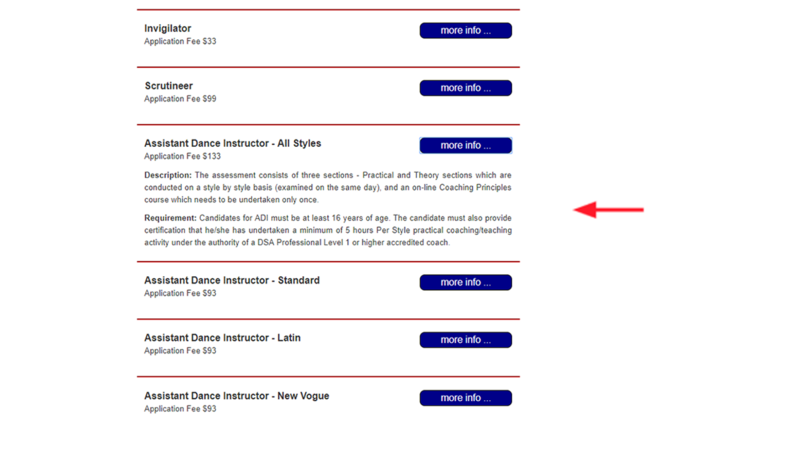 The appropriate fields appear - for your application and payment. The Description and Requirements are also repeated here for clarity. For efficiency, State Accreditation Officers can access all applications from their State and perform actions such as clearance approvals directly from their P5000 portal, making the process quicker. We will still retain Clearance Certificates as hard copies to support the process, but applications for accreditation and appropriate approvals, etc will be facilitated by the P5000 method.